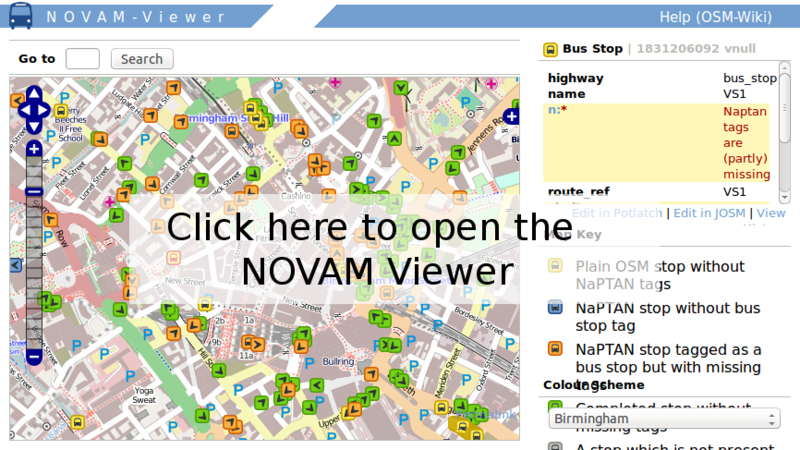 Novam is a tool to display information about UK bus stops in OpenStreetMap. It was developed to help with the import of the NaPTAN data. The tool displays bus stops in different colours on a map to help spotting unverified bus stops from the NaPTAN import and bus stops which are not correctly tagged. More information, including source code, is available here.